There are only a few places in the world where you’ll find such a perfect combination of microclimate, local relief, and human character, and Dalmatia is one of them. If only a small part of that combination was missing, a large amount of quality and tradition in grape cultivation and wine production would be missing, as well. The millenary tradition of winemaking in Dalmatia produced more than 300 indigenous varieties of wines, which no other country on this planet can say about themselves. It is said: “There are as many varieties of wine as Dalmatian islands”. 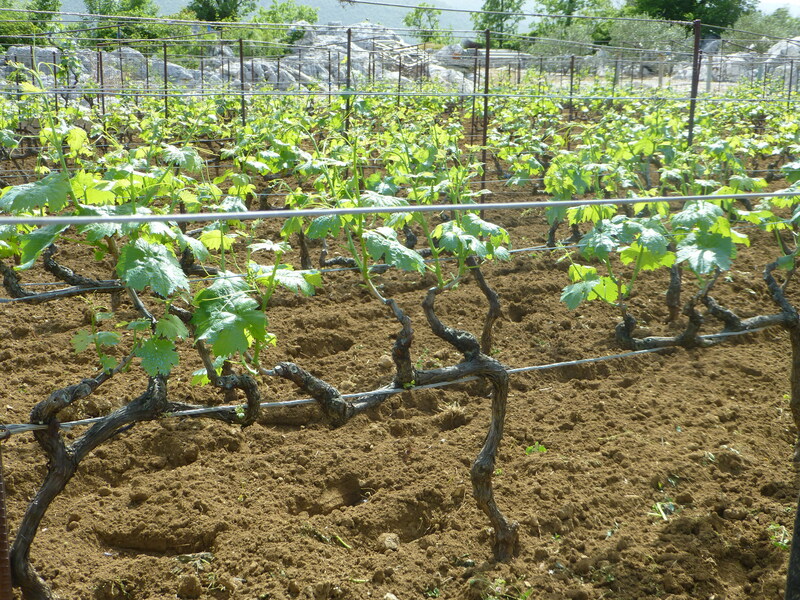 The most famous vineyards and varieties of wine are located on the Peljesac peninsula and the islands of Brac and Hvar. It is assumed that the grape growing culture in the Mediterranean dates back to around 2000 B.C., and the area of the peninsula was first cultivated by old Greeks in order to produce wine which had a special place in their culture. Experience the beautiful heights and steep slopes with the favorable sip of wine and welcoming hosts. DAY 1 YOUR ADVENTURE BEGINS…. Your wine tour starts with a warm welcome in the city of Split, from where you will be transferred to your hotel. Upon arrival, you’ll be left to rest and freshen up because tomorrow… is the day when your big adventure starts. DAY 2 IN VINO VERITAS – VINEYARDS AND WINERIES… Your wine trails of the day will start with the early breakfast and heading up to Kaštela, the home of Crljenjak, the ancient but not forgotten wine sort. Its exceptional historical taste is preceded only by its importance because it is the father of widely known and appreciated sorts Zinfandel and Italian Primitivo. You will visit several vineyards and cellars to taste the soft differences of every single grape which arise due to the different preparation and other conditions. While enjoying your wine, you will be introduced to rich Dalmatian history of wine making and the specialties that lie in the mere process. DAY 3 SPLIT – HVAR… The next day is reserved for island wine sorts. After breakfast in Split, you will take a short catamaran ride while enjoying the Adriatic blue crystal water, and shortly arrive at Hvar – the sunniest island on the coast. This beautiful island is the home of region’s icon – Plavac Mali, a cross between ancient Zinfandel, Crljenjak Kastelasnki whose taste you’ve enjoyed the previous day, and Dobričić grapes. This wine truly reflects the character of Dalmatia – hot, temperamental, gorgeous, sharp, slightly rustical and absolutely unique. Apart from Plavac Mali, you will have the chance to taste other exquisite wine sorts indigenous to Hvar island, Bogdanuša, and Prč. Overnight stay on Hvar island. DAY 4 HVAR – SPLIT After waking up in the sunniest place in Croatia followed by a delicious breakfast, you will meet your tour leader and continue this wine adventure by getting acquainted with Hvar ancient heritage and historical venues. Its unique fusion of Mediterranean climate, Roman and medieval architecture ‘sizzled’ with Venetian influence will make roaming around much more interesting. Hvar gained glory and power during the Middle Ages for being an important port within the Venetian naval empire. And today, this island is recognized as one of the most popular and favorite resorts. Hvar exploration is set for the morning, and the afternoon will be at your leisure for an individual and private experience of this vibrant and colorful city. Afterward, you will return to Split by an evening ferry. DAY 5 ISLAND OF BRAC… After a short ride by the ferry (45 min), you will arrive on Brač, the first island off the coast of Split famous for its local dishes, wine, and quarries of marble. The marble from the island of Brac is considered to be of the highest quality and was used in the construction of the White House in Washington DC. Visit stonemasonry school which keeps the tradition of working with the stone. After that visit, wine tasting and lunch will be organized in one of the best wineries in Croatia, Stina Winery in Bol. The selection of different wines will be served. Lunch will be organized on the island in an authentic setting where traditional lamb dishes, famous throughout Croatia, will be served. In the evening, return to Split by the ferry. DAY 6 WINERIES OF IMOTSKI AND VRGORAC… Meet up with your tour leader and set off for Imotski county and its pearls, Imotski and Vrgorac. This is a county of spectacular nature, long history and resilient people with excellent gastronomic specialties, high-quality wine sorts, and the first Dalmatian champagne. After the visit to the wine cellars and savoring the best Kujundžuša wine and homemade grappa, you will continue your journey while enjoying panoramic views of Blue and Red Lakes and sunset on Biokovo mountain. DAY 7 SPLIT Your day will start with a private walking tour of Split’s city center with your guide. The city of Split has evolved over the centuries. Split offers a perfect mix of history and modern influences, amazing ancient Roman architecture infused with modern bars, restaurants, and vibrant life. Visit Diocletian’s Palace, UNESCO World Heritage Site. It was originally built as a residential summer palace for the Roman emperor, and Split’s open green market. Continue your tour by visiting Salona, old Roman town 5 min away from Split, once the capital of the entire Roman province of Dalmatia, now a ruin. First, you will visit an olive oil making facility where you will have a short tour of the entire production process and later of the ruins and old stones standing there for thousands of years. Have your own private olive oil tasting. DAY 8 ETERNAL MEMORIES…. Your adventure ends and, for the last day, we recommend you to soak up the sun and think of all the locations, stories, and feelings that you will carry forever in your heart which is now infected with Dalmatia. Whenever you drink a quality wine, remember to relive your Dalmatian experience with that one sip. Price per person (based on 2 people) with VAT, hotels 3*, all transfers, tickets and meals as stated in the program 2.360 Euros per person.